The home of Circus Entertainment, Shoreditch’s best Happy Hour and food that will tantalise your taste buds. 25apr(apr 25)4:00 pm26(apr 26)2:30 amTrapeze Live! This is the start of the weekend, make a booking for dinner and drinks and this will be followed by a live DJ’ . Then its time to hit the dance floor as our resident DJ’s take you through a party set of 80s 90s 00s and current favourite beats and bass from all genres. To name a few Electro, funk, disco, pop and indie rock. Check out our raffle tabs for our mezzanine bookings if you are a local business or on work drinks as we have you covered. If you are after Rhythm & Blues and throwback party perfection, then its free entry to the club if you fancy working off some of those calories. Welcome to this weird and wonderfully unique party, we have happy hour on cocktails, beers & wines 4-7pm perfect for parties and celebrations and you can dine with us too between 4 & 10pm. We have 3 circus act side show performances every Friday but be warned our performers may choose your table to perform on. At 10pm we turn it up and its all party from here on with our resident DJ’s selecting some of the best 80s 90s 00s R&B, rock, pop, disco, funk and dance music that we all know and love. We also have club nights in our basement club every Friday check out basement what’s on to get tickets. 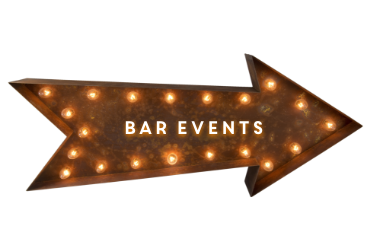 Free, email jointhecircus@trapezebar.com to book a table or click here to book. We have a venue drenched in circus decor, fantastic cocktails, free popcorn, tons of sweets, scrumptious burgers and last but not least our great resident DJs will be rolling through every Saturday to set the crowd on fire playing the best nostalgic floor fillers, hits from the 90s, EDM, House, Nu Disco and to keep you moving your hips until the wee hours! No ID no entry, over 18s only.